In recent days’ play button is becoming “the most vital call-to-action on the web,” as videos drive more users to the website and converts them into valuable customers. It’s no secret that videos are becoming a bigger and bigger part of every organization’s marketing strategy. To know the live significance of videos we can see that Twitter has launched video auto play in feeds, Facebook providing advertisers the option to buy video ads and much more. 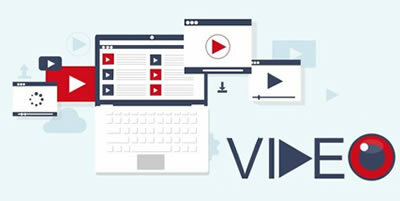 Videos becoming the significant part to drive more users to the website, the most trending way is infographic videos takes the key role in user engagement. One of the oldest adages known to marketers is: Know your audience, but now it has changed as attract and engage your audience that makes more sense. This helps in effective communication and delivers the right messages to engage audience via infographics videos is a whole new effort. Develop videos that grabs user attention which helps in extending the watch time. A study says that 80% of users can be retained only if the video length is under 1 minute. So to retain your users engage them visually and keep the deliverable crisp because longer videos drags on lowering retention. Based on compatibility, viewing a video on smartphones in vertical pane will be 9x better than horizontal view. Cross checking for the output video in multiple devices is crucial as today smartphones are ruling the digital world. Build brand and create awareness among users through the animations that engages well and makes them understand clearly about product/service discussed in the presentation. Once your audience were attracted towards your presentation automatically your video becomes viral as the interested users would share your video and that leads to generate business leads too. Make your infographic video simple, short and interesting. Keep them available in all social platforms to improve visibility and attract audiences in social media platforms. These are the most significant ways that helps to attract audience with infographics video. The video should be up to the level that brings higher ROI, Get your videos developed rightly and attract your audiences ,Visit www.digitalatrium.in and view our video portfolio to get your presentations done. For more details, leave us an enquiry, we are just a form away.